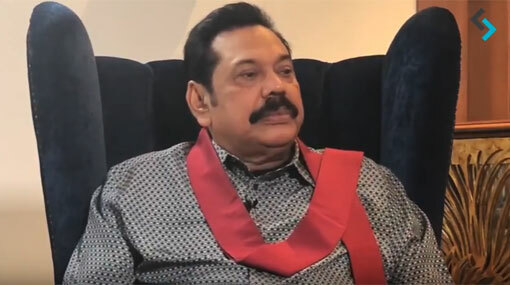 Former Sri Lankan President Mahinda Rajapaksa says that when he first came to power he did send peace emissaries to Velupillai Prabhakaran and that he even volunteered himself to travel to the North and meet the leader of the LTTE terrorist organization. “I sent messengers. I said if he (Prabhakaran) can’t come to Colombo I will come there. I offered myself to go to Kilinochchi to meet him. But he never agreed to that,” he said, in an interview with Strategic News International (SNI) in Delhi. Responding to a question, the former President said that not only former Indian National Security Adviser M K Narayanan, but most of the people including the West were of the belief that the Sri Lankan government cannot win the war against the LTTE. “I was confident because I was studying from the beginning. From the time they started it in the 70s. So I knew their mentality,” he said. Rajapaksa is in India at the invitation of BJP leader Subramaniam Swamy to deliver a talk in Delhi. His visit has fuelled speculation about possible thaw between him and the current Indian government. When questioned about what he expects from India, during his visit, he said: “goodwill”.